Aromatic,tasty sabji.Do not cover with the lid after the shepu is put in the kadai. green will go darker colour.Potato is cut small so that it will become soft in few minutes itself. Wash the shepu in running water and strain it and dry it in a towel.Chop them well. 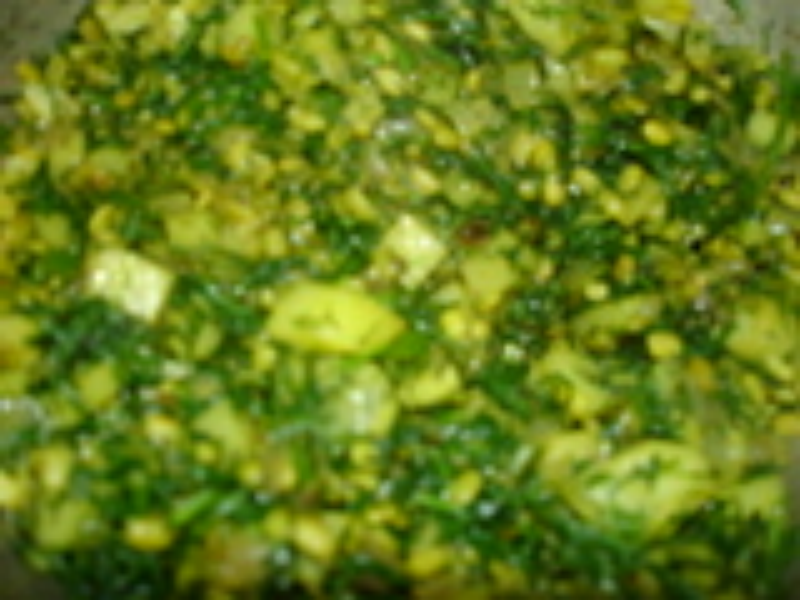 Soak moong for half an hour and strain it. Heat oil in a kadai.Add Jeera.After it crackles,add onion and saute till light brown. Then add moong.Add Haldi.cook for 5 minutes. Add small sized potatoes and cook till it becomes soft. Then add shepu leaves.The quantity will get reduced and it will take 3-4 minutes only.Add salt & sugar. Mix well. Serve with roti.